Innocent man rots in jail for long! 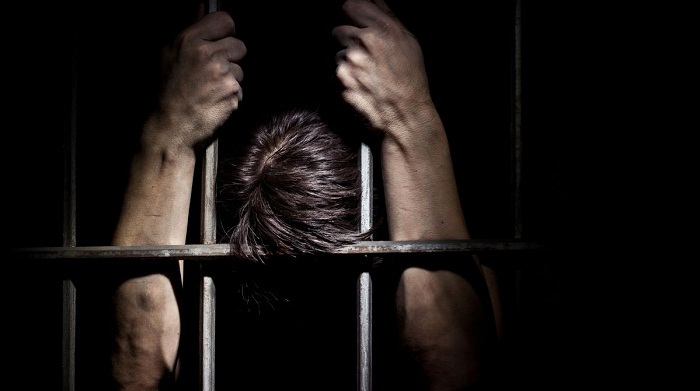 An innocent man has been languishing in Kashimpur jail in Gazipur for 28 months due to an inaccurate investigation by the Anti-Corruption Commission (ACC) into cheque forgery charges against him. Jahalam, son of Yusuf Ali of Tangail, was thrown into jail in April 2016 in 32 cheque forgery cases filed by anti-graft watchdog. The issue came to light after Jahalam’s brother Shahnur Mia appealed to the National Human Rights Commission with a claim that his brother innocent. Following the appeal, the NHRC conducted an investigation and found him innocent. The ACC is now reinvestigating the cases against Jahalam following the NHRC report. The NHRC probe report hinted that a real cheque forgery group has technically entrapped Jahalam. Without proper investigation, ACC investigators arrested Jahalam instead of real criminal Abu Salek and sent him to jail. The report said there was no such name like Jahalam in the FIR report. The FIR report mentioned Abu Salek. The ACC submitted a charge sheet, mentioning the accused name as Abu Salek alias Mortuza alias Jahalam. But it was found that Abu Salek has no other name. The NHRC report said the investigation agency did not verify the fact whether Abu Salek and Jahalam are different persons. Even they did not verify the signature by any handwriting expert and did not take and expert views. Over the conclusion in the report, the NHRC said they did not find any involvement with the cheque forgery cases and demanded the cases be reinvestigated. Jahalam has been made a victim by a vested group led by Abu Salek. Even Salek has no additional name like Jahalam in his NID card. The NHRC investigation team also talked with another accused in the cheque forgery cases Nazrul Islam alias Sagor who did business with Salek. The team suspects his involvement with the forgery with Salek. Shahnur Mia filed an appeal with the NHRC in January, seeking help from the NHRC to prove his brother’s innocence. Following the complaint, the ACC discussed the matter at its full bench and decided to conduct a complete investigation. The NHRC carried out the investigation that found that innocent Jahalal is being victim of someone’s crime. Finding the report, the ACC ordered reinvestigation and stopped the case procedure in the court. Jahalam is a son of Yusuf Ali of Tangail’s Nagorpur. He was a Tant (textile) worker of Bangladesh Jute Mills in Narsingdi. He is not much educated except signing his name in Bangla. According to the UNO of Nagpur, Tangail, it was learnt that Jahalam’s family live in a small house. Since his father’s second marriage, Jahalam started working at jute mills and did not complete primary education. His wife also works at another jute mills and their only son lives with his in-laws. NHRC Chairman Kazi Reazul Hoque expressed the hope that Jahalam will get fair trial and release from jail. “During our primary investigation, it was found that Jahalam was not involved with cheque forgery. As the ACC already gave a charge sheet, we appealed them for running reinvestigation and the ACC are doing so,” Hoque said. If trial is held fairly, Jahalam will get justice, he added.